If you follow me on Twitter (@john_canessa) you have noticed that in the past couple months or so I have been posting tweets regarding articles in Medium. The site is geared to creating posts which you could do using your own web site (e.g., www.johncanessa.com). The beauty is that many talented individuals in different fields are posting there. The site organizes them by categories and presents the articles indicating the estimated reading time. One of these days I will probably start posting there. Of dozens of articles that I have read on Medium, I have noticed that explicitly or implicitly the way they are written follows two well known patterns which I have used for decades. The first one is to read and then experiment. One can read about a subject and get a general idea on it. You need to experiment, make mistakes and use or create examples that interest you. The second pattern is to explain the subject at a 6 year old level. Not all the articles get to this point, but in general the authors attempt to explain as simply as possible the steps to achieve a goal. At work I architect, design and implement code attempting to explain as well as I can. Keep in mind that if you cannot explain something, you do not understand it yourself. I am very interested, among other things, in Docker. This post deals with chapter two of the book “Using Docker” by Adrian Mouat, ISBN: 978-1-491-91576-9. 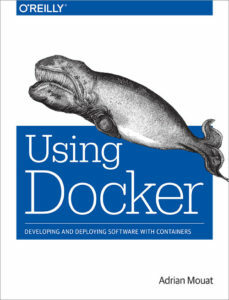 I have read a few books regarding Docker and have found this as the best so far. I typically get my books from Amazon. I strongly recommend getting a copy, reading a chapter at a time and then spending time experimenting as long as you think is enough with the examples. In future posts, I will be touching on most (if not all the chapters) in the “Using Docker” book. If you have been reading my posts and tweets, I am very interested in what is generally known as Artificial Intelligence (AI). One of the languages mostly used is Python. 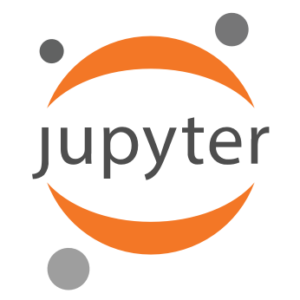 There is a Jupyter Notebook that in one place (the notebook) an author / developer can put the code, the engine that parses the code and the actual data. That is a great thing to use. If you have an issue, you can send / post the notebook and a reviewer is able to follow the code and reproduce the bugs / results. This is great for peer review. Of course there are some limitations. I am not sure how many other languages are supported by Jupyter. One must also take into considerations the different versions of hardware, operating systems, and tools. Docker deals with containers. In a nutshell a container represents a virtual computer that has been used to test / run the software being developed. The great thing of Docker is that the virtual computer with the actual code and data can be shared and runs on most (never say any) machines with some limitations. For example, a Docker container created under Windows runs on Windows machines. The same holds true for Linux. Given that Docker was developed using Linux features, we will use Linux in this set of posts. If you are interested and getting a better overview regarding containers and in specific Docker, the first chapter in “Using Dockers” might be all what you need. There is a lot of information on the web; some of which may be overkill and / or not be up to date. Without further ado, let’s dive into the subject of this post. The first thing to do is to install Docker on your machine. I have installed it on Linux and Windows. It makes sense to start with Linux, and if needed move on to Windows. You need to have a relatively current version of Linux and download and install a current version of Docker. Both Docker and Linux are constantly and rapidly evolving so it is not a good idea to use stale versions. Let’s determine the version of Linux running on our machine. The following command lists a set of one of more files which contain the information we are seeking. At this time we do not know the exact count or names. The /etc/centos-release file indicates we are using CentOS Linux release 7.4.1708 (Core). Any version greater or equal to CentOS 7.0 is good. We are running a version that is higher than 3.10. All is well so far. This is a 64-bit processor so we are good. I like to use gvim, but any other editor (not word processor) would be fine. After Docker was installed, I removed the installation script. You may choose to keep it for later reference. I decided to leave it in enforcing and decide to switch to permissive if and when the need arises. If the Docker server portion does not display, there is an issue that needs to be resolved. In my case all went well. I recall the first time I installed Docker on Windows; the server did not come up. After enabling some software and adding some RAM, all came up. I tend to forget things so taking note on how to get some help is always useful. You should first read the second chapter in “Using Docker”; follow the steps and then try different things to learn and understand how to install Docker. In a following post I will cover the next chapter in the book.